I needed a little inspiration this week, so I thought I would read Julie Powell’s blog, The Julie/Julia Project, to see how Julie managed to work, cook, and blog every day. I haven’t found the blog online yet, but I have found much conversation about it, the movie Julie and Julia, and Julia Child. If you have watched the movie, then you know there is a point where a journalist gives Julie the impression that Julia Child is not at all impressed by her project. There is a lot of discussion all over the internet about the validity of his comment and, if it is fact, why Julia Child would feel this way. What seems apparent from all the internet discussion is that Julia Child was a serious cook who only really highly regarded other serious cooks. Two principles Julia outlined that define French cooking are: a serious interest in food and its preparation, and a willingness to take the few extra minutes to be sure things are done as they should be. She wanted people to use their senses; to look, listen, taste and pay attention to the food as it cooks. By that definition I am certainly not a serious cook. Far from it. According to Shapiro, Julia Child felt that when it came to French cooking the two most important ingredients–time and love–had no substitute. And this, my friends, is why I may never be a serious cook. Why many of us may never be serious cooks. I do not love to cook, nor do I want to spend all my free time in the kitchen preparing elaborate dishes. Maybe you do love to cook, but you are also a busy parent who can’t devote as much time to cooking as you’d like. Luckily, you don’t have to love to cook to prepare healthy, nutritious food, and cooking healthy, nutritious food doesn’t have to be time consuming. Nor does it need to be at the level of classic French cuisine. 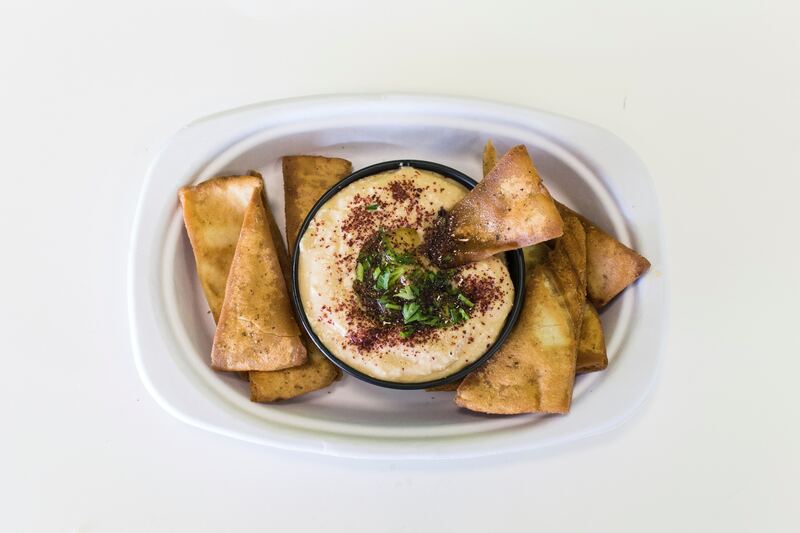 So far in the Healthy Bodies curriculum, Eating Through the Alphabet, we have had asparagus, Brussel’s sprouts, cranberries, dates, edamame, feta cheese, guava, and this week: hummus. All of these foods, besides the cranberries, can be eaten with little or no preparation. (If you want something really tart, you can eat fresh cranberries directly out of the bag, just simply rinse and eat!). Try steaming or sautéing asparagus or Brussel’s sprouts, or adding feta cheese to a green salad. If you serve these alongside a good source of protein, such as baked chicken, you’ll have a simple, nutritious and delicious meal prepared in no time. And the added bonus to keeping things simple? It also makes for an easier clean up! On that note, I am going to have my hummus this evening in it’s simplest form: directly out of the container. Over the weekend, when I can devote a little more time to cooking, I may try the hummus in a recipe. Because hummus is a good source of protein and fiber, recipes using hummus have been turning up everywhere recently. My biggest dilemma will be deciding between a main dish recipe or a dessert recipe. But today I heard the words “chocolate hummus” so I am pretty sure I already know what my decision will be!